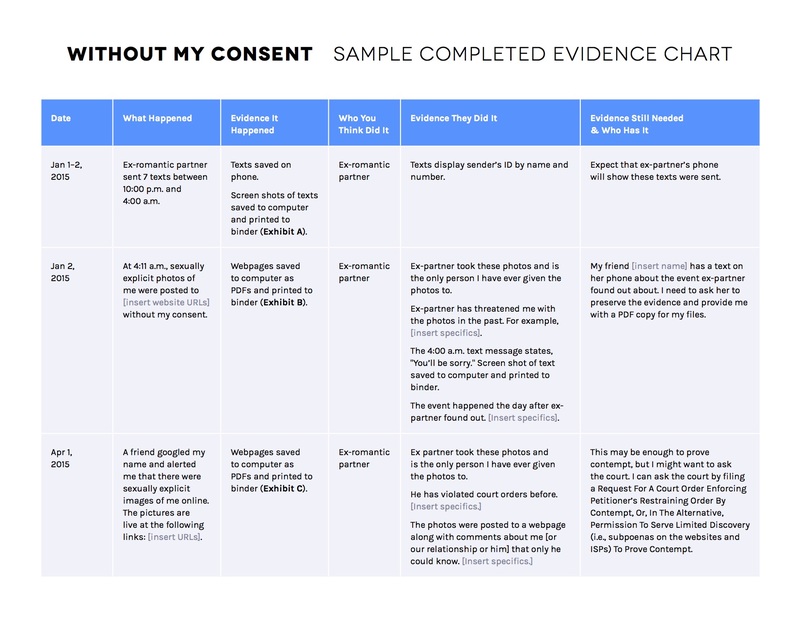 An incident log (or evidence chart) shows a detailed, narrative record of all of the harassment you’ve experienced--whether online, over the phone, or in person. Often created in the form of a document or spreadsheet, it’s a critical part of making a criminal and/or civil case against the person(s) harassing you. Evidence they did it, including screenshots, PDFs, call logs, etc. Any additional information, including URL of harassing posts, additional context on why you are concerned, etc. Make sure that any information you record in the log is factual and listed chronologically. Also make sure to attach evidence you have to the log, and make copies of it (including screenshots, PDFs, photos, etc). 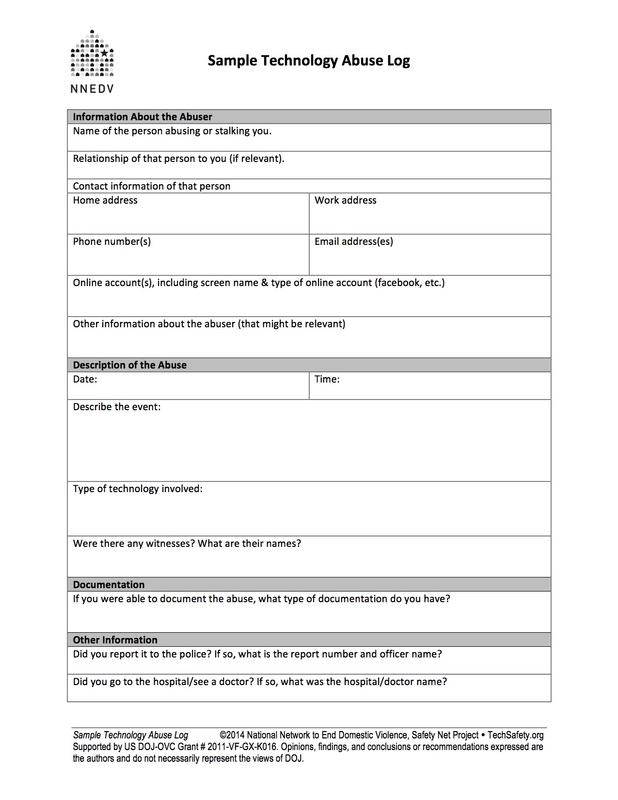 You can choose one of these incident log templates below, and then download and use a clean version for yourself. What else should I do when creating my log? "Save them in a folder on your computer or, better yet, an external hard-drive like a USB. External back-ups prevents hacking!" "We also suggest implementing a file name system that indicates the date and type of incident. For example, a screenshot of a Facebook message sent on September 9, 2017 could be filed as 09092017_FB_Message. Organizing your evidence in a uniform way makes it easier for others to review and analyze." 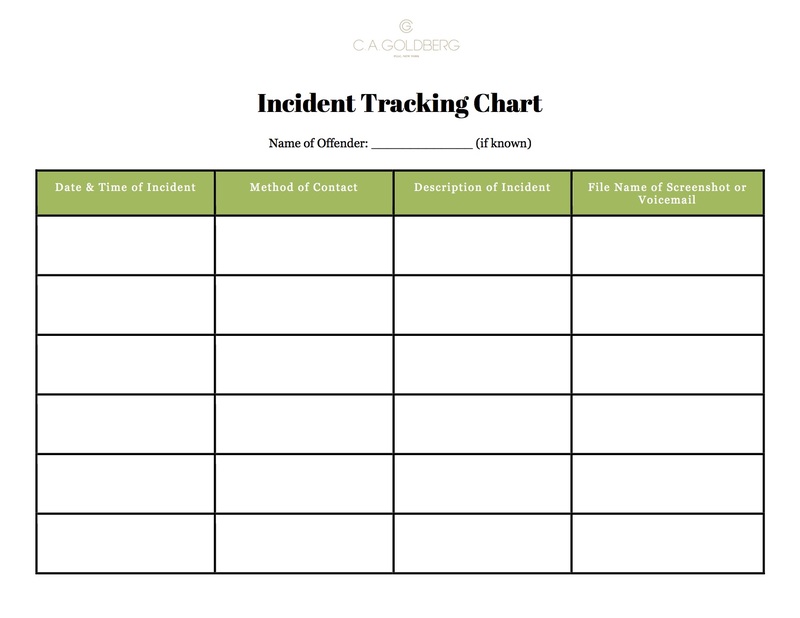 "Each time you’ve saved an incident of harassment, write a brief and succinct summary of what the screenshot or voicemail contains in your Incident Tracking Template. These descriptions will help your attorney and the police to work quickly, saving you time and money." "Don’t let your emotions get in the way. Facts are your greatest ally, so be objective when describing the contents of the evidence."